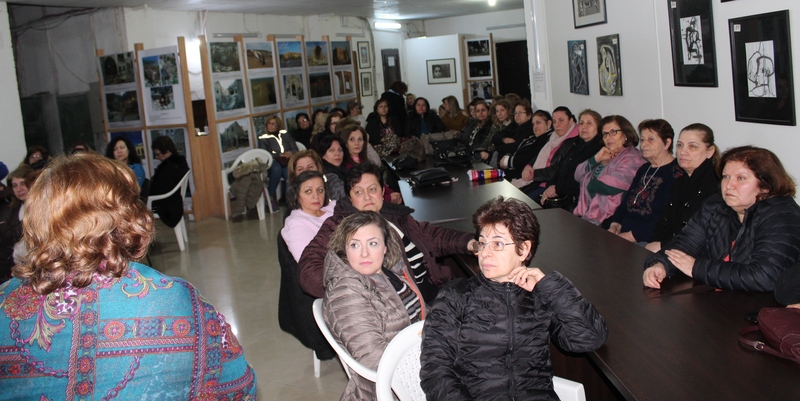 On Friday March 22, 2019, at 2p.m., Aleppo Compatriotic Charitable Organization hosted a meeting on behalf the “Socio-psychological Assistance to Syrian Refugees” initiative, with 72 participants in attendance. 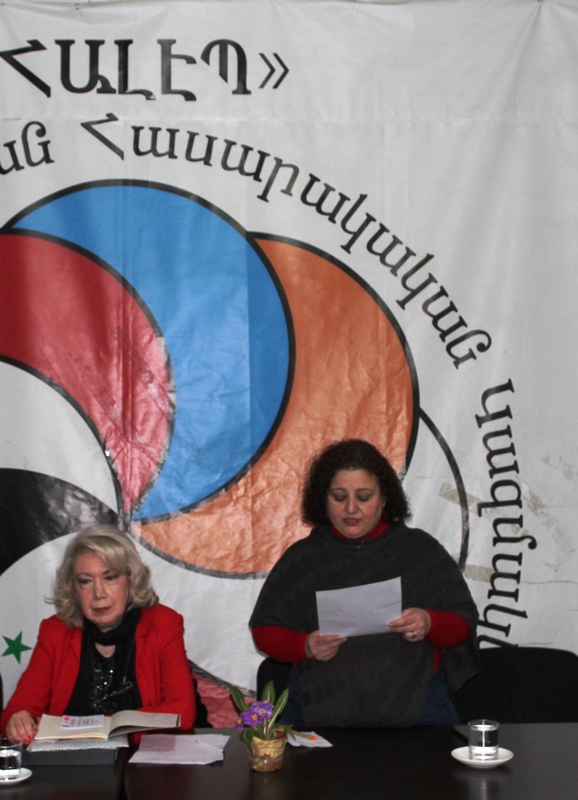 The meeting was led by Founding Vice President of Aleppo-NGO’s Dzovig Makarian-Baytarian. After wishing attendees a Happy Mother’s Day, Ms. Makarian-Baytarian introduced the afternoon speaker, expert in traditional Armenian embroidery and member of Aleppo-NGO’s Women’s Volunteer Commission, Vania Msrieh-Karajian. 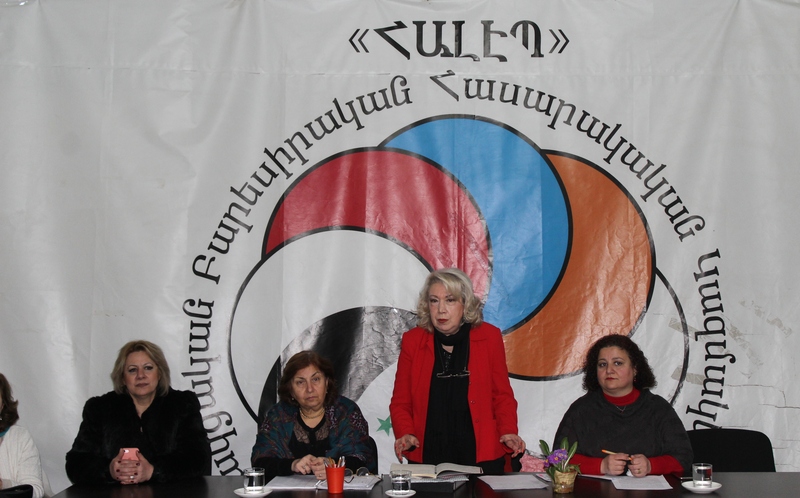 Ms. Msrieh-Karajian provided guests with a presentation on the role of the mother throughout the history of Armenian society, emphasizing t the importance of women in the preservation of Armenian identity. Later, she paid tribute to Syrian-Armenian mothers, who, despite all obstacles and barriers, have returned to Armenia, demonstrate great resilience through their active engagement in Armenian society. 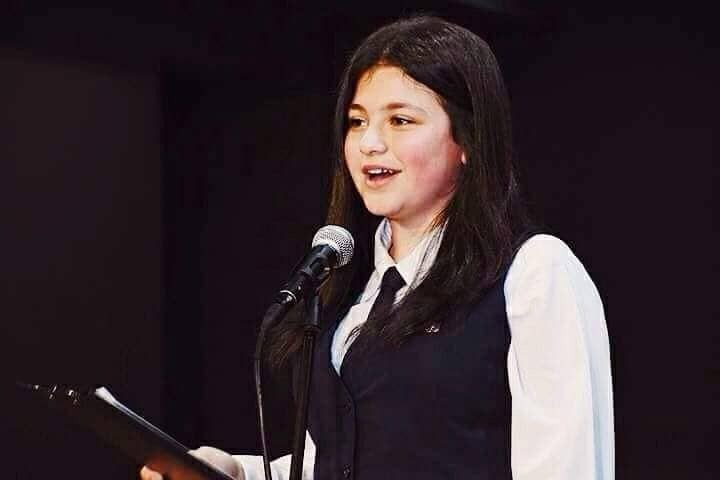 Kali Margarian then recited a poem by Yeghishe Charents entitled “Gazelle to My Mother,” after which her mother-in-law, Lusine Chopurian, was awarded a small, symbolic gift. Following Ms. Margarian’s presentation, Sosi Nalchajian treated attendees to delicious snacks and refreshments. Guests then participated in a “name-game,” which Mrs. Mari Palgevorgian won. 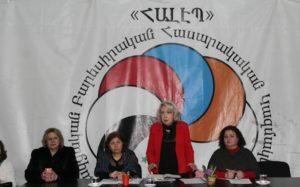 Yerevan State Medical University graduate and member of Aleppo-NGO’s Women’s Volunteer Commission, Doctor Mayda Chavoushian, then gave a lecture entitled “Let’s Be Healthy.” She discussed topics such as the middle ear infection, and responded to questions regarding the human ear, blood pressure and weather changes. After the meeting, Dzovig Makarian-Baytarian led everyone to the Aleppo Cuisine pop-up cafe located on Northern Avenue. There, Pastor Pargev Palgevorgyan of Saint Hakob Church of the Araratian Pontifical Diocesein in the Mrgavan village, blessed the cafe and wished success to Aleppo-NGO. As a reminder, Aleppo-NGO’s “Social-psychological Assistance to Syrian Refugees” program is organized free of charge. 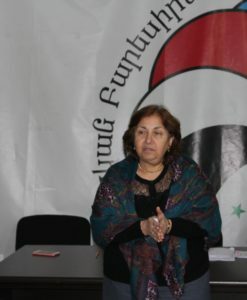 The aim of the meetings is to provide support to those who lived through the conflict in Syria and continue to struggle with psychological side effects. 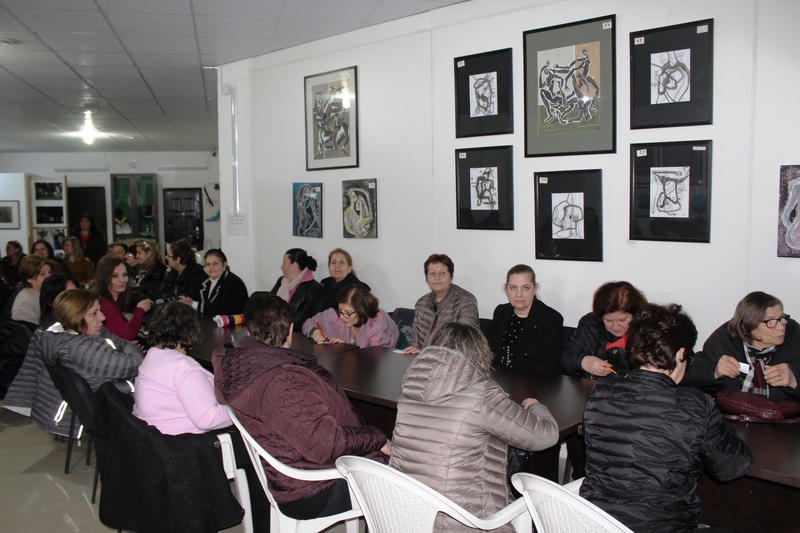 The program’s mission is to assist in survivors’ rehabilitation and help them reintegrate into Armenian civil life. Professors and lecturers will be invited to these gatherings to share their knowledge and experiences with attendees. 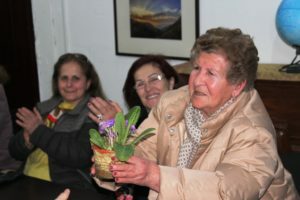 I remember your elderly face, oh Mother, sweet and priceless of mine! Light wrinkles and lines, oh Mother, sweet and priceless of mine! Has shaded your face, oh Mother, sweet and priceless of mine! That came and passed away, oh Mother, sweet and priceless of mine! Where has he gone to, oh Mother, sweet and priceless of mine! Where is he now? Is he alive or is he dead? And whose door has he knocked at? Oh Mother, sweet and priceless of mine! Whose embrace comforted him? Oh Mother, sweet and priceless of mine! Is swinging the infinite sadness of yours, oh Mother sweet and priceless of mine! Oh Mother, sweet and priceless of mine.